One of the best ways to get your “Mat Legs” is through balance drills. Your equilibrium and staying on your feet in combat sports (really, any sport), requires you to have basic faculties of maintaining balance. 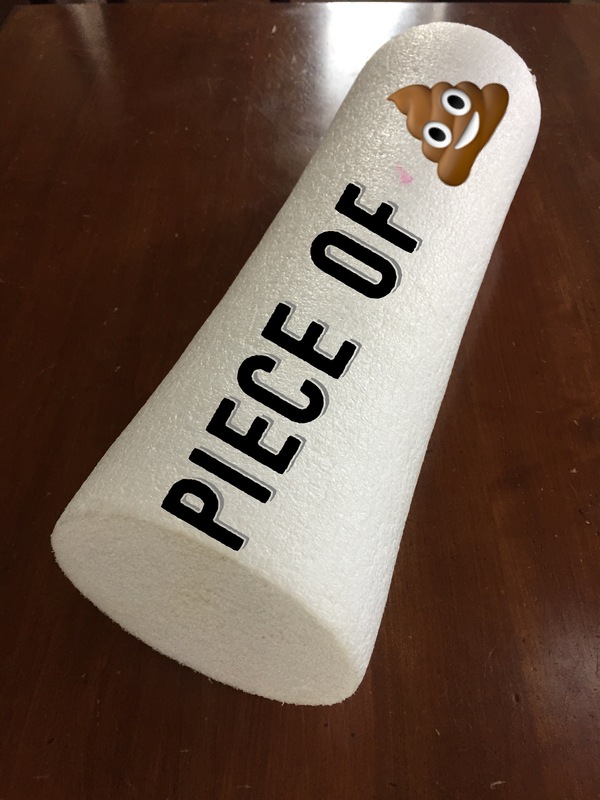 You’ve also undoubtedly sought the foam roller at your academy, or maybe you even spent money on the giant foam packing peanut and learned quickly how weak and useless the product is. I’ve got one solution that addresses both. Requirements: Make sure it is at least 1/2 in. thick. You’ll be standing on it so it needs to withstand your weight. Dimensions: A 2 ft. by 1-1.5 ft. board, or 2.5 foot by 1-1.5 ft. Requirements: Something that can withstand your weight. I weigh 240 lbs. and I’m using an old shelf from an old TV stand. A quick price comparison reveals this is a “no-brainer”. The links I provide were quick searches performed on the Internet. You may be able to get items cheaper if you have a local hardware store or a chain hardware store like Lowe’s or Home Depot. Balance Board options are usually over $100. Here are two examples: This option costs $119.95, and this popular option costs $159.95. Foam rollers are all over the map. 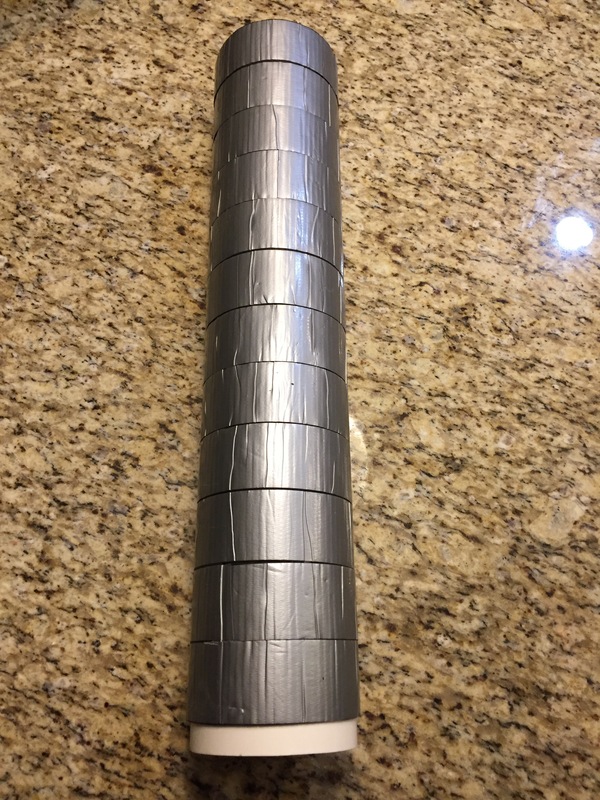 A higher end foam roller like this one can run you nearly $45.00. You’ll make a more durable, more versatile version of these products for 1/10th of the price. 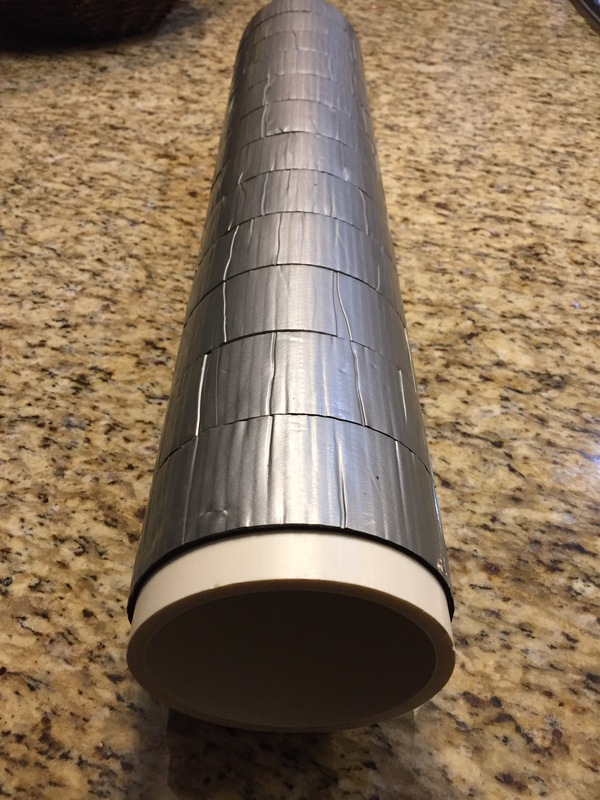 Use the rubber tape, insulation tape or the foam insulation to create a thin layer over the PVC pipe. The pipe is too smooth on its own to make contact effectively with your skin or the board, so this layer will help create friction for balance drills and a little comfort (not much) for rolling. NOTE: I made the version in this video with insulation tape as it’s easy to apply and not expensive. Apply one, thin layer of duck tape over the insulation tape. This helps protect the insulation tape from wear. Here is a quick video of the new item in action. I demonstrate the balance board option using the upper body and lower body. That’s all there is to making your own. A couple of quick things to make sure you get the most out of your time. Consider smoothing out the MDF/Melamine board on the edges. Use the extra tape around the sides or have someone good at wood work smooth it out. If not, wear long pants the first few times you try balancing. Wear shoes at first when trying until you find your legs. After you’ve comfortable with the movement, you can go barefoot, which is ideal. Perform this on a suitable surface. You may fall at first. This works very well on mat surfaces. You don’t need to be a show-off and do this on your sidewalk and crush your elbow when you fall. If you have no alternative, wear elbow pads, helmet, etc. like you would with a skateboard (Note: I know most of you won’t listen, but it’s my recommendation to be safe, not stupid). Want to see more drills like this? 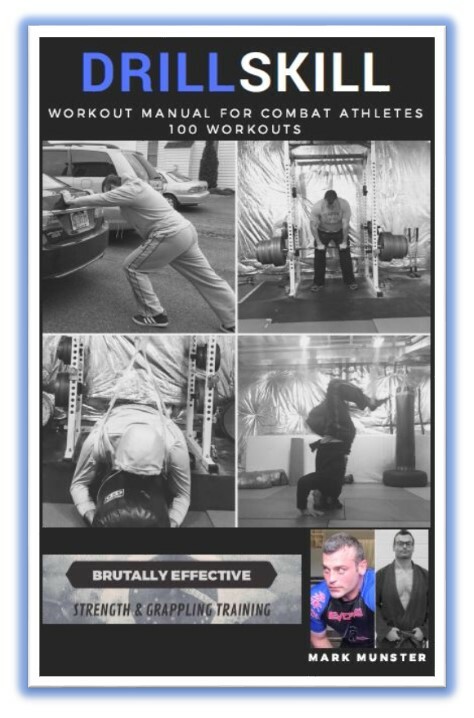 The new DRILLSKILL WORKOUT MANUAL for COMBAT ATHLETES is now available in the Store. It has over 120 exercises and 100 workouts for you to put into your program! I’ve used resistance bands for training for over a dozen years. The right bands can add a lot of value to your training program. They are a very affordable alternative when compared to a complete weight set, durable, portable, and versatile. You can perform nearly every exercise with bands that you can perform in the gym, with some creativity and modification. Iron Woody Fitness resistance bands are by far the best bands I have ever used. I do not have any endorsement deals with this company. This is simply my experience. Try it for yourself and you’ll find out. With JiuJitsu and other grappling based movements, we have many ways to move that are not common to other exercises. Therefore, drilling these movements is a useful and necessary ingredient in your overall success as a practitioner of the arts. I’ve a big fan of drilling. If you’ve read my articles, you know that every workout and training session I perform is reviewed as a set of drills. I’ve created a product around this concept called DRILLSKILL. Solo drilling is a way to turbo-charge your results. You may not always have the luxury of a training partner to drill with, being creative with your solo drills becomes paramount to your development. Overall, drill by yourself, drill with a partner, drill with multiple partners….it all helps you reach your goals faster. In this video, I demonstrate a few of my favorite video uses for bands: the wrestler’s shot and positional control maintenance. Here is another example using bands to improve the quality of neck training. The first drill includes a guard posture drill where you resist the tension of the band throughout your neck and body as if your posture were being compromised in the Closed Guard. The second is a brief demo of resisting the tension from the side, making your entire body resist the tension and posture-breakdown caused by the bands. In this manner, neck training becomes much more “functional” as a result, rather than isolating the muscles of the neck. Add bands to a few basic drills and you will notice the difference in your performance on the mat.